Travelling by bus is the simplest way to get around Myanmar if you are on a budget – and it is the only way to get to certain destinations (unless you are prepared to pay for a private car). 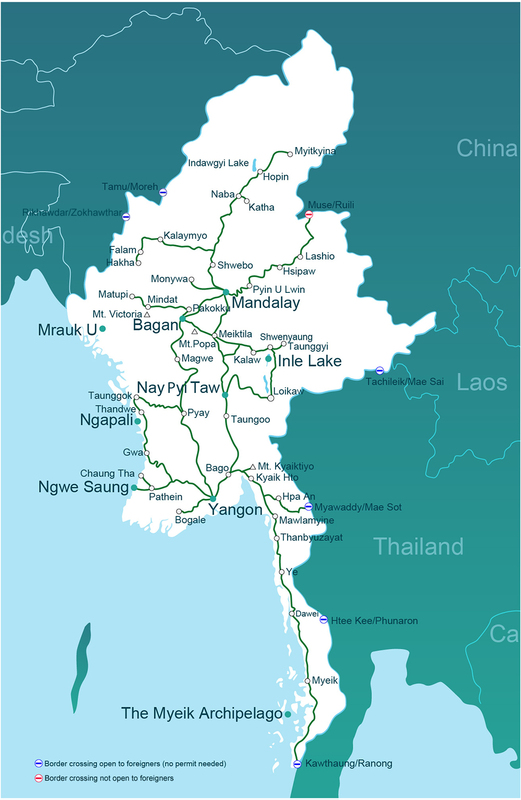 Bus routes are run by a variety of different private companies, and they serve most parts of Myanmar– with the exception of some border and mountian areas such as Kyaing Tong and Putao (for some background on this issue, go to about Myanmar). Please note that the map on this page indicates primary bus routes accessible to foreigners, not all bus routes. 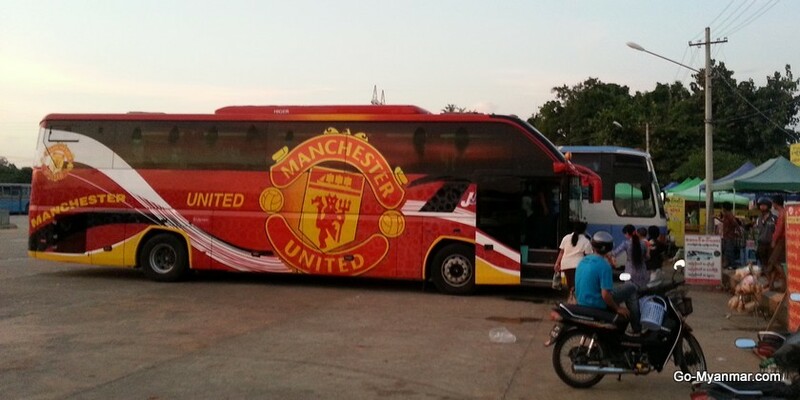 In major centres such as Yangon, Mandalay and Bagan, the long-distance bus stations are located far from the centre of town, so you will need to buy your ticket online here or in advance from a booking office or hotel in the centre of town. Tickets can be bought at bus stations, but it is recommended to book early for popular routes (such as Yangon to Bagan, Mandalay or Inle Lake), particularly during the tourist high season from November to to April. Things can get particularly busy during the Thingyan (Burmese new year) water festival in April. Long distance bus tickets typically cost between K6,000 to K30,000, depending on the length of your journey; buses are usually faster and cheaper than trains. Schedules may be unfamiliar to many foreigners – long-distance journeys often start between 4pm and 10pm, meaning that you may arrive at your destination very early in the morning. Equally, buses sometimes leave very early in the morning (as early as 4am), particularly from more remote destinations. To make online bookings contact us here, or go to individual destinations to find out about bus routes and times to specific places. When you book online, we can send you a ticket scan by email, which will be accepted when shown on your smart phone at certain bus stations (local bus ticket sellers are not always easy to reach in larger cities). Note that it is cheaper to buy bus tickets locally in Myanmar than through this website, but we are able to offer secure online advanced booking for peace of mind. 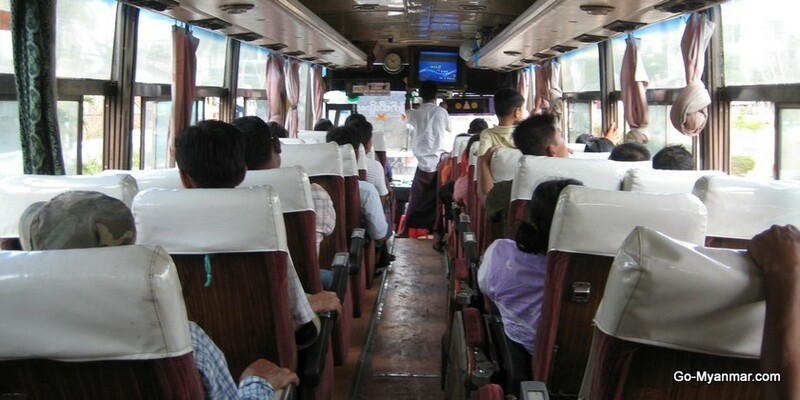 In larger cities such as Yangon and Mandalay, there are local bus networks, which are popular and sometimes crowded. Understanding routes can be difficult for visitors as signs are not written in English and numbers are in Myanmar script, but with a little help from locals, buses can be a fun and cheap way to get around. Journeys rarely cost more than K300. The long-distance buses on major routes in Myanmar are modern, air conditioned vehicles, but some older buses in less touristy areas are in worse condition. In extreme cases, they may have no working windows, and may have people, sacks of grain, or even live animals filling the aisles! Most longer journeys feature at least one refreshment stop. These offer you the opportunity to stretch your legs and get a drink and a bite to eat; if you are travelling to or from Yangon, most buses stop for half an hour at 115 Mile, a large complex of restaurants and hotels on the main Yangon-Nay Pyi Taw-Mandalay Expressway (2.5 hours north of Yangon). Buses do not have toilets on board. 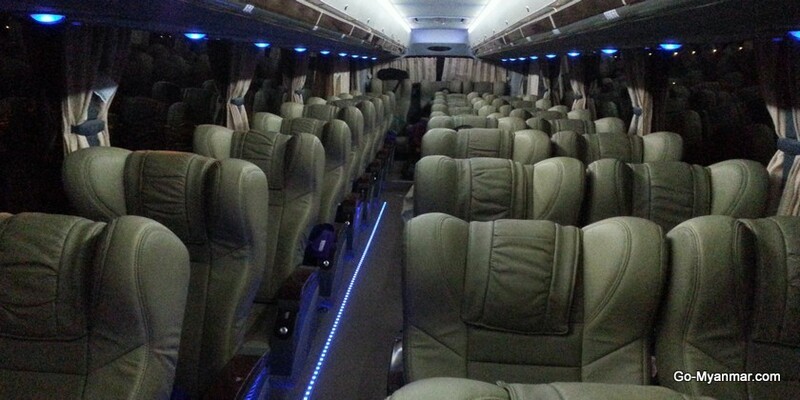 Bottled water, and sometimes a small snack, are supplied on all VIP buses and some other buses. Air conditioned buses can get cold; it is a good idea to have another layer to cover up with, although blankets are sometimes provided.